« Why are you learning to fly at Providence?…. My lesson cancelled at short notice this morning. 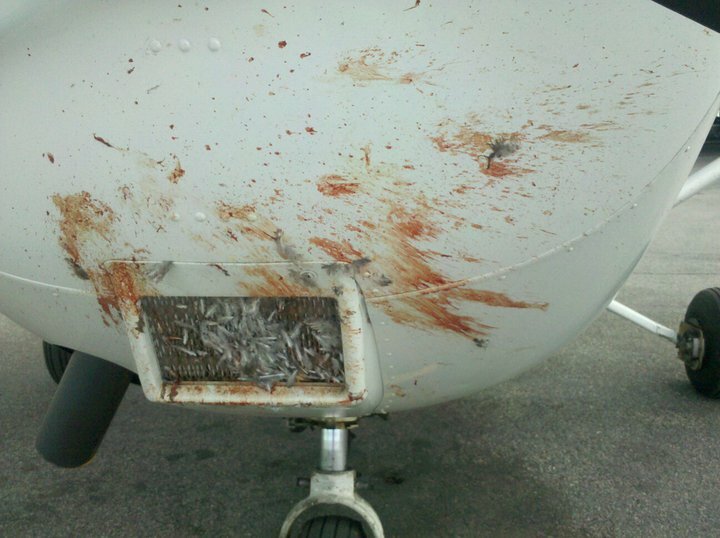 The plane had a bird strike on the previous night flight lesson and would need a new airfilter and inspection. No one noticed. Avoiding birds at night is tough. The airbypass kicked in and drew air from inside the cowling so there was no performance loss from the part blocked filter. No one noticed anything till the plane was down.